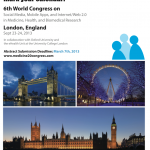 iMedicalApps and the 2013 Medicine 2.0 congress are announcing the second iMedicalApps & Medicine 2.0 mHealth Research Award, to be presented at the September 2013 conference. 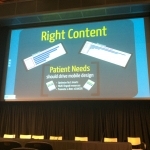 Jonathan Cho from the National Cancer Institute recently demonstrated the development process behind creating the NCI recently released mobile web app for smart phones and tablets at the Medicine 2.0 Conference in Boston, MA. One of the major announcements at this week’s mHealth Summit was made by Qualcomm who introduced a new platform for wirelessly connecting medical devices and declared it open for business. 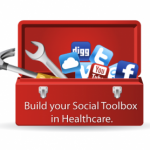 The 2net platform allows any medical device to connect with cloud servers, freeing manufacturers from the complexities of wireless communication. Joseph Kvedar, MD, is the Founder and Director of the Center for Connected Health, which was established in 1995 by Partners HealthCare. Partners was founded by Massachusetts General Hospital and Brigham and Women’s Hospital, and is a principal teaching affiliate of Harvard Medical School. The Center’s mission is to “develop new strategies to move health care from the hospital and doctor’s office into the day-to-day lives of patients.” Dr. Kvedar will be speaking in the Super Sessions at the Summit on “Mobile Health in the Clinical Enterprise”. 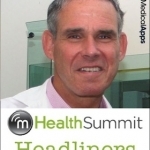 mHealth Summit is the largest annual gathering dedicated to mHealth in the world and convenes a global group of researchers, health professionals, and industry. 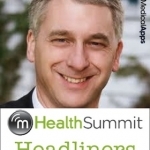 As a media partner for the Summit, iMedicalApps will be presenting an exclusive series of interviews with keynote and prominent speakers between now and the December meeting.